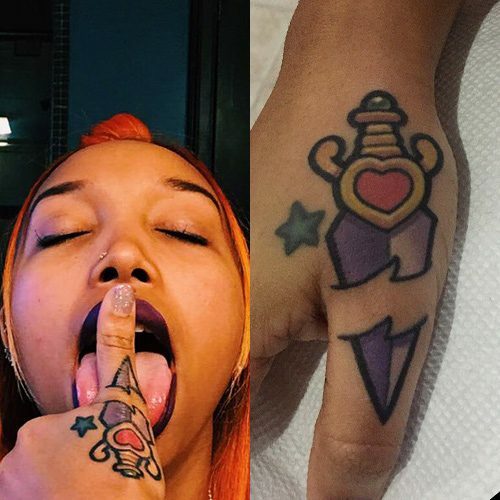 Zonnique Pullins has a colorful dagger inked on her right hand by Roger Parrilla. 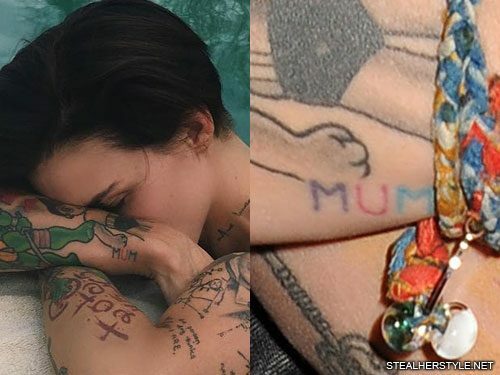 Ruby Rose honors her mother with this “MUM” tattoo on the side of her right wrist. 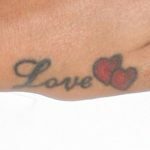 It’s done using purple, red and blue inks with each letter in a different color. 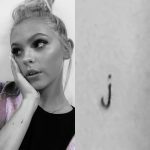 Miley Cyrus and her best friend Wayne Coyne got matching tattoos in September 2015 which say “OKIE” — a derogatory slang term for a person from Oklahoma. 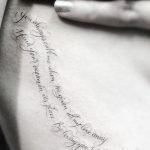 Miley is from Tennessee but has spent a lot of time in Oklahoma recently alongside Wayne, who is an Oklahoma native. 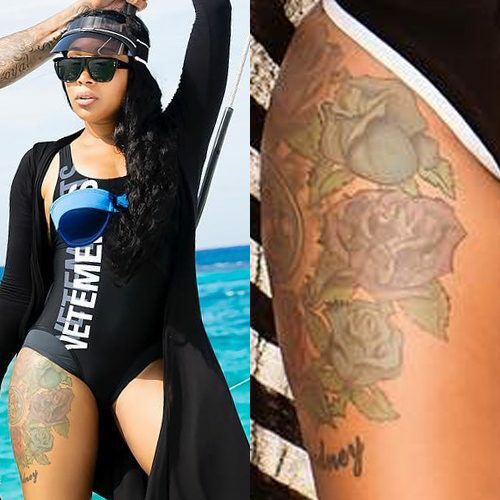 She got the tattoo while working on her new album at Wayne’s recording studio in Oklahoma City. 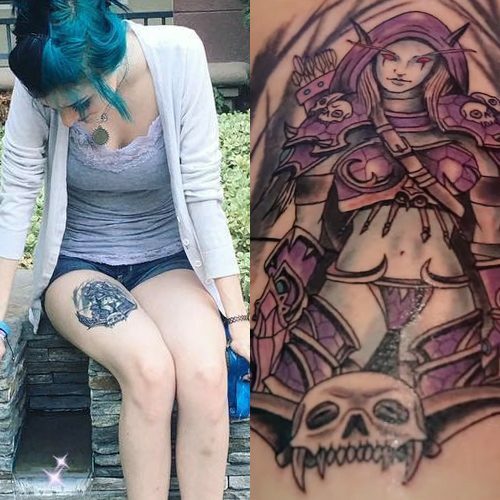 Alex Dorame got the character of Sylvanas Windrunner from World of Warcraft inked on her right thigh on July 2016. 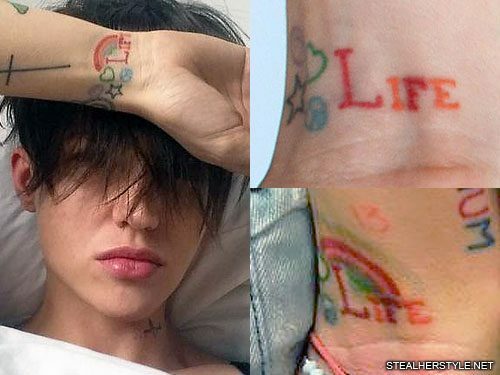 Ruby Rose has “LIFE” written on her left wrist in red and orange inks. 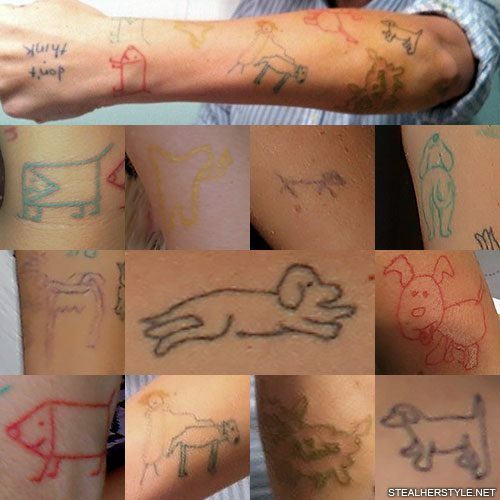 Next to it are little symbols in colored ink including a purple smiley face, green heart, black star, and blue peace sign. 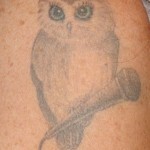 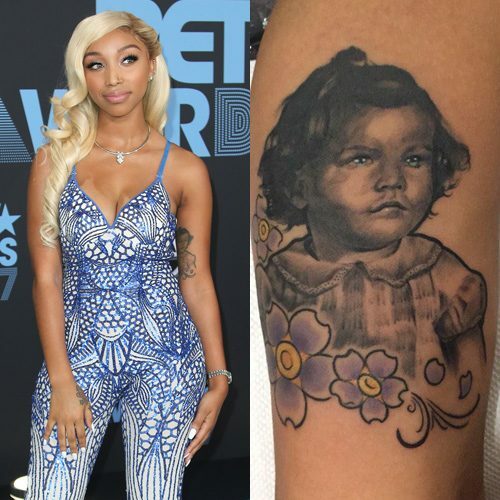 She later added a rainbow to the tattoo as a symbol of LGBT pride. 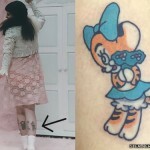 In April 2012 she got a number “13” as part of a tradition in which tattoo parlors give discounted tattoos of the number 13 on every Friday the 13th.